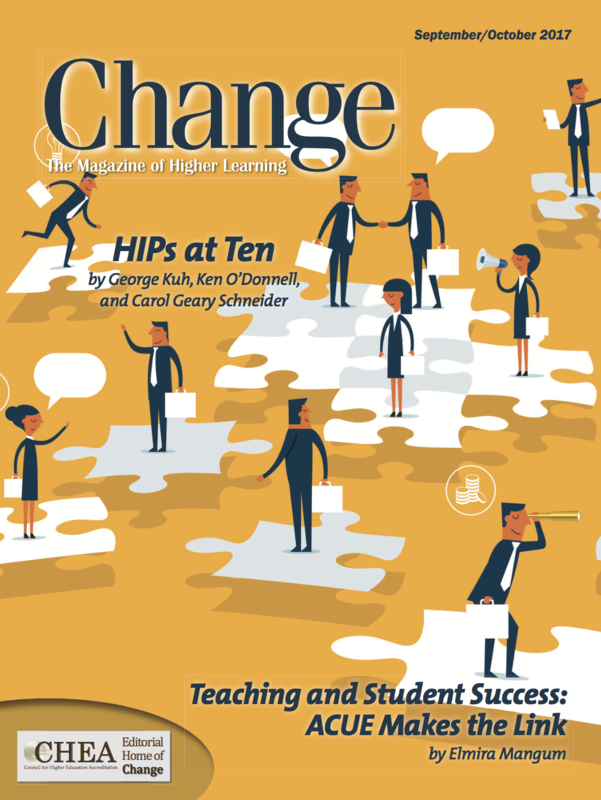 Teaching takes center stage in this fall’s issue of Change: The Magazine of Higher Learning, and ACUE is honored to share the spotlight. Alongside articles by George Kuh, Ken O’Donnell, and Carol Geary Schneider on high-impact practices, José Antonio Bowen and C. Edward Watson on the learning sciences, and Emily R. Miller and colleagues on the AAU STEM Initiative, ACUE’s work is featured in the cover story: “Teaching and Student Success: ACUE Makes the Link.” This collection of 13 short essays, with an introduction by Elmira Mangum, shares the diverse perspectives of students, faculty, administrators, and other stakeholders with whom we’ve developed a resource truly “of, by, and for” higher education. “It is a (too) common observation that faculty members’ training and expertise focus on their subject matter and research rather than pedagogy. What training they might receive concerning pedagogy depends on their graduate institution rather than reflecting widely shared professional standards. . . .
“As we reflect on our increased knowledge about teaching and related initiatives supporting faculty development, we might be tempted to think that we can make progress—and that perhaps such progress is already being made. Unfortunately, much of the evidence suggests that what we know is not being put broadly and effectively into practice. Graduation and retention rates are moving up slowly, if at all. . . .
“The gaps are especially troubling as we anticipate underrepresented students becoming a larger proportion of the student population. The data here is also distressing, ‘states with high percentages of underrepresented minorities and large attainment gaps are in a particularly dire situation.’ . 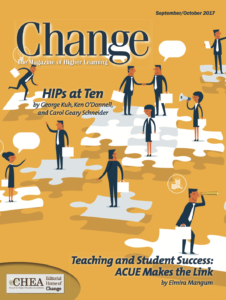 . .
José Bowen, president of Goucher College, defines the essential role teaching plays in preparing a student for lifelong success and how a ‘degree’ in pedagogy can help faculty change lives. These essays, taken together, make a powerful case for putting great teaching at the heart of our national student success agenda.